Intel USB 3.0 drivers include root hub, extensible host controller and USB monitor. It can optimize communication with hardware component in motherboards. 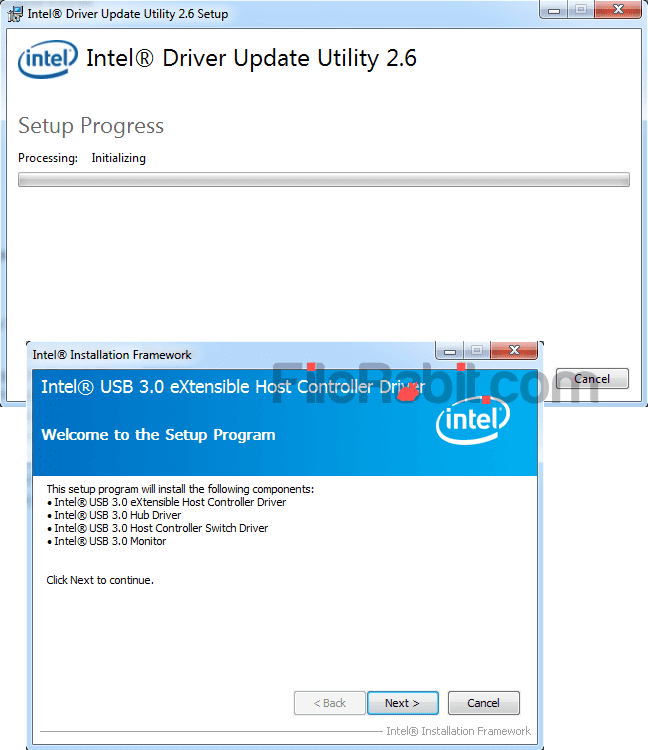 Intel USB 3.0 driver package has multiple files including host controller switch, root hub, extensible host controller and USB monitor as well. Intel has recently released Core i7 Extreme Processor which needs support motherboard alongwith other components. Before it, Core i7, Core i5 and Core i3 are popular motherboard and processor units. However, there are 2 types of Intel USB 3.0 chipset drivers. First one has support for only older (7 series) chipset family support but the second one has (8+ series) chipset family support. Intel has recently updated driver compatibility with new chipset/processors with adding USB 3.0 support. Installing / Uninstalling this driver suite is easy and simple. It requires very minimum time with just pushing few clicks of mouse. Please be sure that Intel USB 3.0 eXtensible Host Controller Driver is not supported on Windows XP and Windows Vista. Intel 6th generation Intel Core processors. Intel 100 Series/C230 series Chipset Family. USB 3.0 was designed for higher speed, more compatibility with different manufacturers, plug n play, fast data transfer and time saving purposes. Previously, USB 2.0 is slower, less compatibility and lower data transfer speed based hardware component. Please verify your chipset or processor unit before downloading and installing these drivers. Un-supported chipsets and operating systems may harm computer or I/O parts.